Injured on a building site? Building sites are inherently dangerous places for people to work, with various potential health and safety risks that can result in accidents and injuries. Injuries caused by heavy lifting, accidents involving machinery and falls from height are just a few of the possible dangers. Each year thousands of people suffer injuries while working in the construction industry, some of which are fatal. Statistics published by the Health and Safety Executive (HSE) show that there were 35 fatal work accidents within the UK construction industry in 2014/15. Even more shocking is the fact that many of these building site accidents and injuries could have been avoided if relevant safety regulations had been observed by employers. 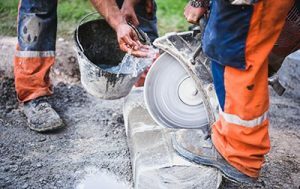 If you have been injured while working on a building site, and you believe that somebody else was at fault, you could be entitled to make a no win no fee compensation claim. At InjuryClaims.co.uk, our team of experienced personal injury solicitors have helped thousands of people across the UK obtain compensation for the damages they suffered as a result of building site and other workplace accidents. Contact us today for a free claim assessment and find out within a matter of minutes if you have a valid claim for compensation. If you choose us to handle your case, we will do so on a no win no fee basis. This means there are no upfront costs, and you will never be left out of pocket. Failure to adopt sufficient safety measures and follow health and safety regulations is a common cause of injuries within the building and construction industry. A large number of injuries that occur on building sites are preventable if employers take a more proactive approach to the safety of workers. Trips and falls – there are a huge range of potential tripping hazards that can be found on construction sites. This can include uncovered holes in the ground, trailing cables, and tools and equipment left lying on the ground. It is essential that employers take measures to maintain a safe working environment by keeping work areas tidy and free from avoidable obstructions. Injuries caused by falling objects – whenever overhead work is in progress, workers who are on the ground are at a risk of being injured from falling objects, such as bricks, roof tiles, and tools. Injuries suffered can range from minor cuts and bruises through to broken bones, concussions, and serious head injuries. Crane accidents – cranes are frequently used on large building sites to lift heavy objects such as roof trusses and steel beams. Defective cranes, high winds, and operator error can all result in crane accidents, putting both the operator and nearby workers at risk of injury. Scaffolding accidents – scaffolding and work platforms are used on most construction sites to make it easier to perform tasks at height. This can include bricklaying, electrical work, roofing and decorating. Common issues include improperly assembled scaffolding, tripping over tools or materials and falls from height due to lack of safety rails. 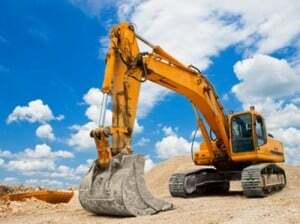 Vehicle and machinery accidents – a busy building site is likely to have a broad range of vehicles and machinery being used throughout the day. From heavy machinery such as excavators and dump trucks, through to handheld tools such as drills and saws, these can all pose a significant risk of accidents and injury if health and safety requirements are not observed. Did you know that within the construction industry, 2.4 million working days are lost each year as a result of work-related injuries and illnesses. If you work on a building site, your employer has a legal duty of care to ensure that health and safety procedures are followed. It is their responsibility to carry out risk assessments and take all reasonable steps to eliminate or minimise the potential dangers. Employers must also provide workers with adequate safety equipment and training to perform their tasks safely. There are many laws and regulations relevant to the construction industry that aim to provide protection to workers and reduce the likelihood of injuries being sustained in workplace accidents. This includes The Construction (Design and Management) Regulations 2007, The Health and Safety at Work etc. Act 1974 and The Work at Height Regulations 2005. If you have suffered any injuries at work due to the negligence of your employer or a co-worker, you should make sure that the details of the accident are recorded in the site accident book. To help support any subsequent personal injury claim, you should also try your best to obtain as much evidence as possible. This could include taking photographs of what caused your injury and recording the contact details of any witnesses. It is also important that you get your injuries examined at a hospital or by your GP as soon as possible. Your injuries and the cause will then be recorded in your medical records, which can be a vital piece of evidence for any future accident claim. To be able to build a successful case against your employer, a solicitor will need to provide evidence that proves you have sustained an injury or illness, and that this was caused as a result of your employer’s negligence. There are two elements to any injury compensation award. Firstly, you will be awarded an amount for the pain and suffering caused by your injury. In legal terms, this is known as general damages. The amount will depend on the type of injury and the severity. You may also be able to recover compensation for loss of amenity, which takes into account the impact the accident had on your ability to perform tasks that you would usually enjoy, such as looking after your children, walking the dog and engaging in sporting activities. Secondly, you may also be eligible to recover special damages. This covers losses and expenses that you have suffered as a result of the accident. Examples include loss of earnings, medical bills, treatment costs, prescription costs and travel expenses. To recover compensation for any of these financial losses it is important for you to retain receipts as proof. All accident claims are judged on a case by case basis, and will vary based on several different factors. To find out how much compensation you could be entitled to, contact our injury lawyers today for a free case assessment. When making an injury claim in the UK you have three years from the date of the injury or accident to start a claim. But it is always a good idea to obtain legal advice as soon as possible following an accident. By contacting our personal injury solicitors, we can assess your claim and provide you with guidance on your legal right to compensation. To find out more, simply enter your details into the contact form above and we will call you back for a free case assessment. You can find out within minutes if you have a valid claim for compensation, and we will answer any questions or concerns you may have about the process of making a claim.